This article discusses accommodation supporting geotourism in Batur Geotourism Site in Bangli Regency, Bali Province in Indonesia. The purpose of the study is to identify the type and standard of accommodation available in Batur. It used a qualitative approach using a combination of interview and observation as data collection techniques. Interviews were carried out with a total of 30 respondents consisting of: the lodging providers, community members and community leaders, which were conducted at the location of each property in the tourist destination of Batur. The results showed that there were four types on accommodation available in Batur, such as: homestay, villa/guest-house, two – three-star hotel, and boutique hotel. It is expected that the results of the study could be used as a reference by geotourism stakeholders in providing accommodation services, especially for the overnight-visitors in Batur. Academically, the implication of the research results enriches the existing studies on tourism, especially those associated with accommodation on Geotourism. ERNAWATI, Ni Made; BASI ARJANA, I Wayan; JENDRA, Wayan. Jasa Penginapan Pendukung Geowisata di Batur Bali. 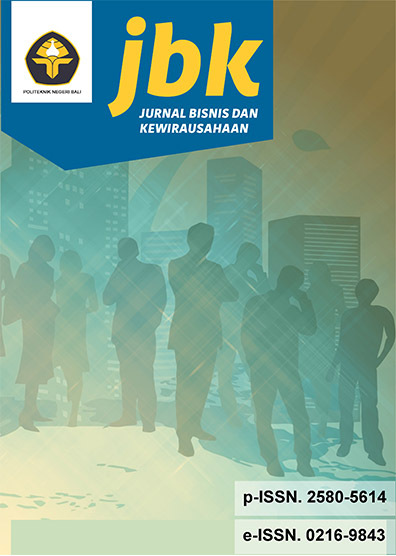 Jurnal Bisnis dan Kewirausahaan, [S.l. ], v. 15, n. 1, p. 13-21, mar. 2019. ISSN 2580-5614. Available at: <http://ojs.pnb.ac.id/index.php/JBK/article/view/1078>. Date accessed: 25 apr. 2019. doi: http://dx.doi.org/10.31940/jbk.v15i1.1078.